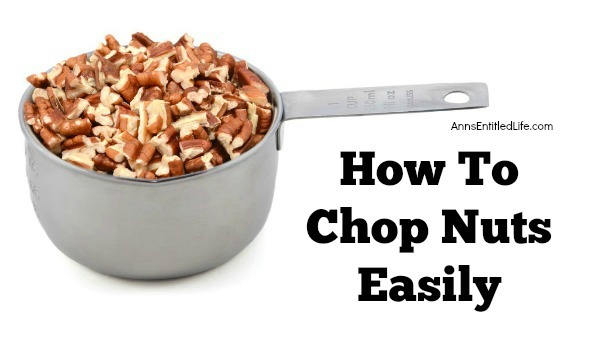 Take the chore out of chopping nuts by following these easy instructions! 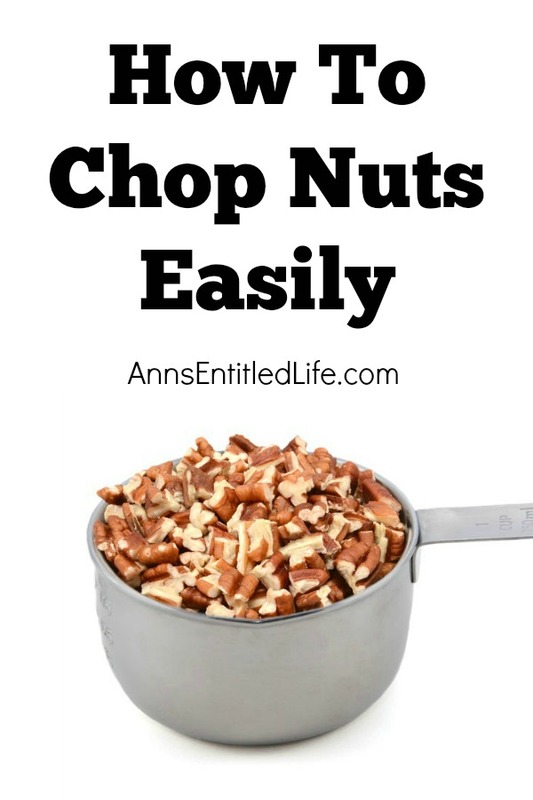 You can chop an entire bag of nuts in under a minute with this simple tip! For many years chopping nuts was a real chore to me. Whenever I used to see chopped nuts in a recipe, I’d move on to a new recipe. Too much like work! Then, my Grandmother gave me a Black and Decker mini food chopper … oh, about 25 years ago. After receiving that, I never chopped a nut by hand again! Start with a mini 1-2 cup food chopper. 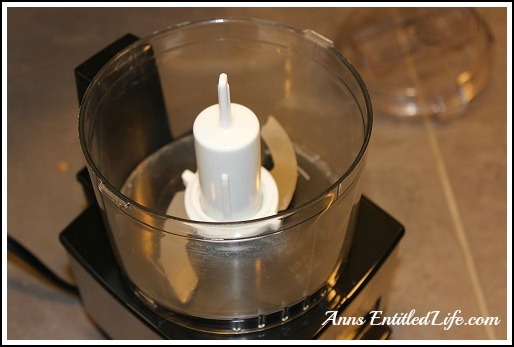 You can use a large food processor of course, but a larger machine is a bigger mess and sometimes the nuts can squeeze below the blade. I prefer to keep my messes contained, and a small food chopper contains the mess very well indeed. 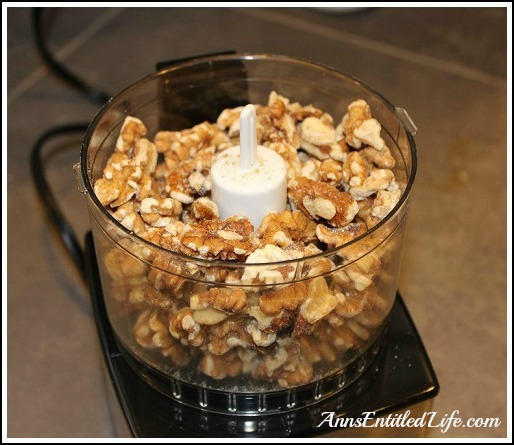 Fill your mini food chopper with nuts. 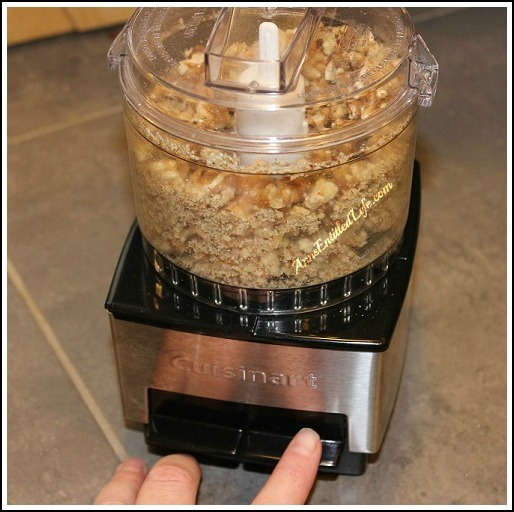 If you need a smaller quantity than the one or two cup fill, and do not want extra chopped nuts for storage, you may of course use a smaller amount. I always chop extra nuts. I am not a fan of cleaning up after myself, and it is nice to just pull out the prepared ingredients on the next recipe. Use the pulse button. Do not let the machine run. If you let it run, you’ll end up with nut-dust. Pulse on and off for 15-20 seconds depending on how finely you would like your nuts chopped. 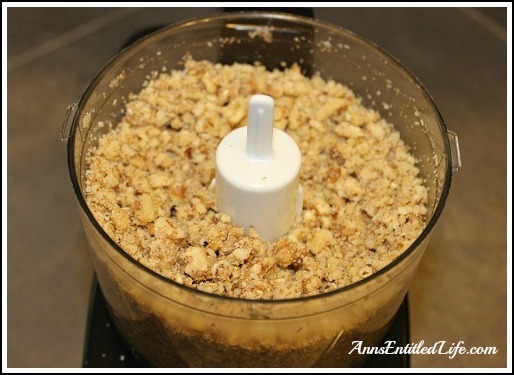 You can pulse a few second (10-15) and have coarsely chopped nuts. If you pulse for 15-20 seconds, you will have finely chopped nuts. It is very important to take a look at your chopped nuts in between pulses until you get the hang of how your machine chops, and in what time frame. I pulse 5-6x and then look, and that is after 25 years! I don’t need nut powder. 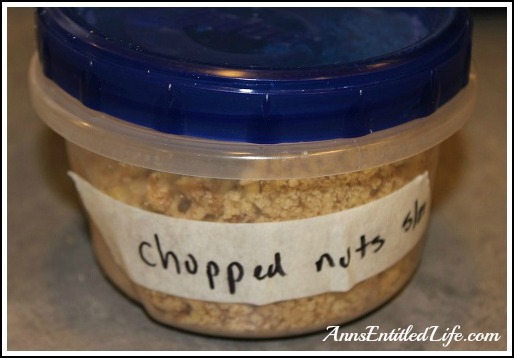 Whatever chopped nuts I don’t use in the current recipe, I store in the freezer until I next need them. I am always afraid of the nuts getting wormy, and the freezer eliminates that worry! 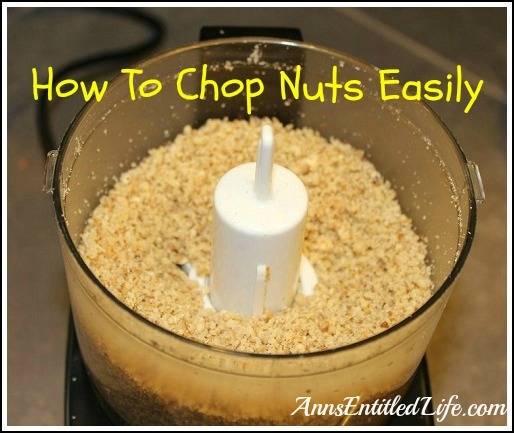 Do you have any tips or tricks for chopping nuts easily? 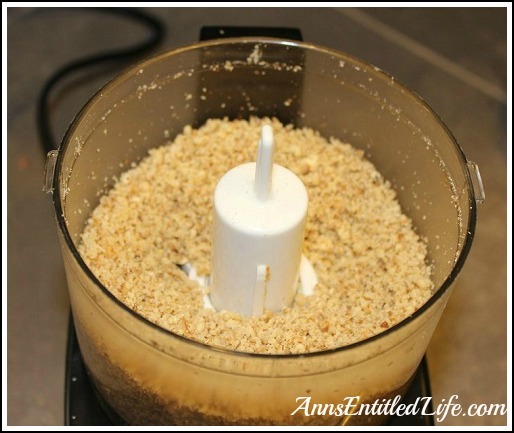 Nut dust…. ;) My first ‘laugh of the day’. Maybe this post is dual purpose. Never have heard of nuts getting wormy Ann. What does that even mean?